I had my first job when I was 15 and still at school. Earning a wage (even though I was on 1.25 an hour in 1992) at such a young age really taught me the value of money, how to save for and appreciate the things I could buy for myself and essential skills such as budgeting and saving. I had three jobs while I was at University and have always paid my own way as much as I could when it came to relationships and definitely friendships. However, over the past few years I have come to realise that a sinister by-product of being so passionate about financial independence is that my own self worth and value is inextricably linked to the money I bring into my home each month. Although I have a fiancé he has his own home (and bills) and so it’s up to me to keep the roof over the heads of me and my children. I do get some state support in the way of tax credits but in my mind, this is a ‘hand out’ and not something that I have worked hard to earn and so I never count it when I am reflecting on the value of my bank account and my self-worth at the end of the month. When my month has been financially strong, I am happy. When it hasn’t, I am crushed. This wouldn’t be too much of an issue if I was still teaching full time. As a primary school teacher of 9 years I would now be earning around £30,000 and I would have the security of a stable income which I could make future decisions on. But I’m not teaching full time anymore for a few reasons. My own health was suffering. Full time teaching requires a lot in terms of personal energy and commitment. It is arriving early, and staying late. It can also be giving up your own family time for school trips, residentials or school events. It’s marking, planning and assessing at home and feeling guilty through the weekends that you are spending with your family and not chipping into the never ending to-do list of a teaching week. It is relentless. This is hard enough when you have a typical family but when you have a child with additional needs or disabilities, it only adds to the exhaustion that you already feel. Harry has never slept well and when he was much younger, wouldn’t settle off until around 11pm at which point I would carry on working till midnight only to be awake with him again from 3 or 4 am. That just wasn’t sustainable for my physical or mental health and even though he does sleep for longer now, the battles that I do have in the night are with a young man who is taller and stronger than the infant I could pick up and put back to bed 7 times a night. With age, we have traded frequency of nocturnal ‘fun’ to less frequent, more intense altercations. Someone else’s children came first. Ever changing goal posts and incredibly high standards (rightly so) for the education of the next generation were something I worked incredibly hard to meet but I was teaching children for whom many had English as an additional language and so ours was a tougher challenge than many who didn’t have these issues to start with. I wanted the very best for my pupils and so I invested all I had into making sure lessons were engaging, stimulating and fun. When the curriculum changed and we were no longer able to tweak previous years planning, I spent full weekends making sure that my subject knowledge was excellent so that I could infuse the knowledge to the little people I was responsible for. But in doing so, I neglected my own little people. I remember speaking with a lady who used to run the fruit bar at school. 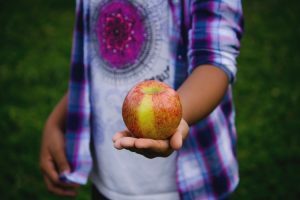 She is in her 80s now but she told me once that her grown up daughter had gone to take an apple from the stock in the boot of her car. She had tapped her daughters hand and told her that she couldn’t have one as they were for the children at school and her daughter replied “Some things never change”. That really stuck with me. To know that your own child could still feel second best to a class full of pupils, even as a grown woman, made me so sad and really made me reflect on the messages I may have been sending to my children without even knowing it. When I first met Andrew, he would ask me how long I would be working for on the one Sunday a fortnight that I didn’t have my boys. I replied “You give me and hour, I’ll fill an hour. You give me a day, I’ll fill a day” and he soon found out how true this was. Before he met me, he had the typical “I don’t know why teachers moan. They get loads of holidays!” attitude but in no time at all he discovered that the ‘holidays’ I had were often spent working and my weekends and evenings were an extension of a working week. Going out for the day with him (with or without the kids) was only ever on the condition that I could work when I got home or I would spend the previous days cramming as much as I could with my head down, oblivious to life around me. I have sat at concerts of artists that I have waited months to see and felt the crushing weight of unfinished marking or planning that will make life so much harder in the following days. I realise that many people work overtime but a recent study showed that when you factor in the hours that teachers actually work above and beyond their contracted hours (don’t forget that overtime is expected and never paid for) then the hourly rate is around £2 an hour. 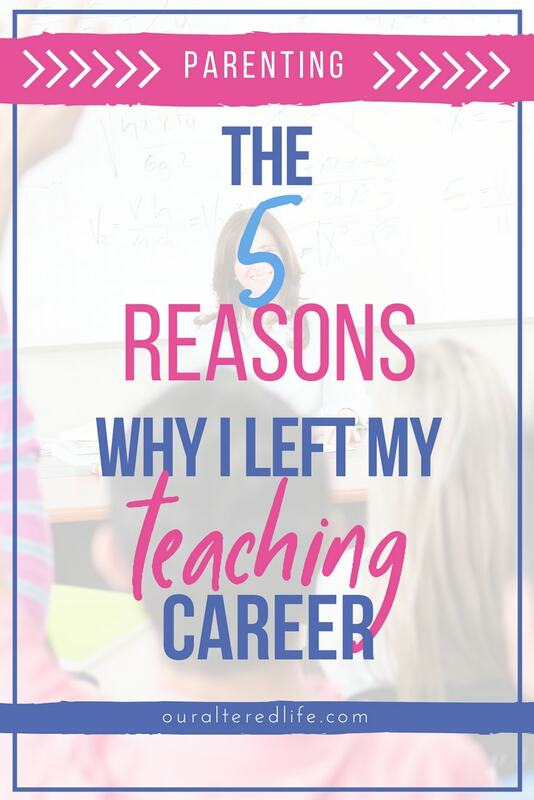 Teachers teach because they love it, not because it pays well, but as soon as the balance began to tip and I felt that I was living to work and not working to live, I began to fall out of love with a career I was actually very good at. I do have to say here that I realise a lot of the pressure I felt was put on myself. It’s not my intention to write a blog post slating teaching as a profession. 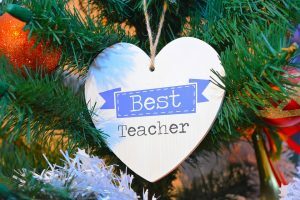 There will be loads of teachers who don’t feel these reasons apply to them and in many ways it was my ‘all or nothing’ attitude and personality that was the issue as much as teaching was but I have extra reasons above and beyond the typical ones that made full time teaching an impossible choice for me in the end. 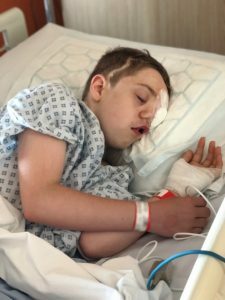 In relation to Harrys cranio-facial syndrome, he has had over 20 procedures, many of which have been incredibly invasive reconstructive surgery over the last 11 years. Each operation happens after a few meetings with a panel of experts and surgeons in Liverpool which is an hour drive from us so each 20 minute appointment can take 3 – 4 hours including waiting time. Each operation requires a stay in hospital and on some occasions, a few days or weeks at home recovery afterwards. 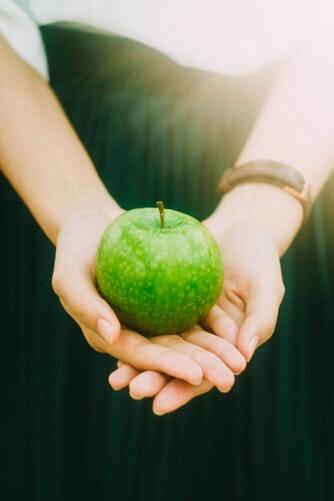 With regard to Harrys autism, there have been several meetings over the years to discuss strategies to support me at home with educational psychologists, teachers and social workers. More recently as we enter the teenage years, that support is even more needed as he struggles to cope with the hormones raging around a young mans body with the understanding and fear of a child. None of this support happens after 6pm in the week or over a weekend. 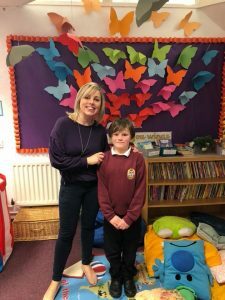 It’s all, always during the day and the huge responsibility of teaching 30 pupils meant that I felt guilty to be leaving the class even though it was impossible not to be there for my sons appointments. They were always the sort of conversations that generated questions to be answered on the spot and never anything that could be relayed to me afterwards by other family members. It had to be me. It had to be school days. 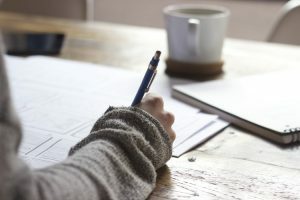 I was torn for such a long time and even when I worked three days instead of five, the guilt I felt when an appointment couldn’t be moved to one of my ‘free’ days (when I was working at home) was immense. I’ve mentioned that I reduced my hours to part time and this did help to a degree but now I am in a position where even part time hours are difficult. You see, Harrys before and after school club provision has finished as he is now too old to attend the setting. This means that I wait for his transport to collect him at 8.20am (give or take 5 mins either side) before I can physically go anywhere. I also have to be home to meet him at 3.55pm. Arriving at work to prepare for the day at 8am and leaving at 5pm are just no longer an option and had I still being teaching I honestly don’t know what I would have done. I cant just leave Harry with anyone. My family all work. Getting him used to another setting takes a lot of time and few childminders will take a 13 year old let alone one who is unpredictable and aggressive at times. In many ways, my hands are tied. So where does it leave me now? I left teaching in 2015 after I was able to earn more with Network Marketing which gave me the flexibility and income I needed but as my book and mission for Our Altered Life became a priority, my passion for the job that had given me a very happy 2 and a half years disappeared. Inevitably, my income went with it. Nowadays I teach on a casual contract for 2 days a week at a local high school where I arrive at 9.15 and leave at 3pm. I absolutely love being back in the classroom but this time I don’t have the pressures or accountability that I had as a permanent teacher and I am able to fit my workload into the free periods and lunch that I get on site. I do only earn when I work though so I now dread the snow days that me and the teaching community used to pray for in the winter. It also means that I will have 7 weeks with no income when I haven’t worked through August and will get paid at the end of October for Septembers days. Thankfully, I have squirreled some money away to live on through those weeks but its stressful to be living off savings. I also earn bits through blogging now in reviewing products or experiences which benefit my family or sometimes days out are gifted to us in exchange for a review. 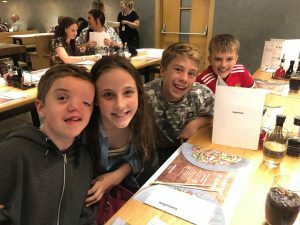 I have been able to collaborate with 6 companies so far through the school holidays and although this hasn’t put pennies in the bank, its saved us over £500 as a family of six. Please, when you ever see blogger reviews, please take a minute to comment instead of scrolling past or rolling your eyes. 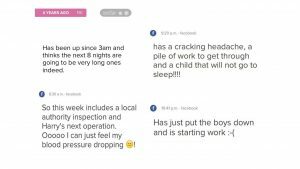 For some parents, that review is the difference between a lean week or a happy one! Our kids actually love that I am able to get experiences for them and will often come to me with a request of who I should ‘pitch to’ next. I do love that they are so involved with what I do now. Finally, in September I will be delivering author workshops in primary schools and earning a modest consultancy fee for that. Teaching colleagues have said that I am under-pricing myself but I don’t want cost to be a barrier for me visiting the schools and would rather they have me in and recommend me than saying no because I am charging more than they can afford. I also deliver some charity awareness at the same time and so it’s important that I reach as many children as I can to make the difference I hope to achieve. So, there you have it. My reasons for leaving a job I loved and a stable income I needed, replaced by what genuinely feels like my life’s mission but financial stress like I have never known. I am incredibly grateful to be able to work flexibly now around my boys and our lives and to be (hopefully) contributing to the world on a bigger scale with my book, blog and charity but my self esteem is taking a battering on the months when the income is low. Im conscious of the negative self talk and working hard on trying to rationalise the awful things I say to myself sometimes. Its something I will have to work through if I don’t want my mental health to suffer because I know that I have so much to be proud of. Mainly, two gorgeous boys who will always know that the fruit in the house is just for them! What a fantastically well written blog Charlie – hats off to you once again. This resonates in so many ways to my current situation and I couldn’t agree more with everything you’ve said about teaching. A truthful, well written piece. I am now retired but taught in a wonderful school with supportive colleagues. The pressure was phenomenal. I loved and hated my job with equal passion. The freedom I now have is wonderful. I hope in time the balancing scales tip in your favour. I neither was a single parent or the parent of a child with many additional needs but I still recognise the constant conflict you write about. Good luck! After 21 in the classroom, I walked away last July and can relate to so much of what you say. Although I have missed the children loads, I feel like a different person. No more chest tightness and that constant, overwhelming feeling of trying to catch up and never being done. Phew. I hope things work out for you – what a brave story. Good luck.